Stock Exchange Procedure - IFA Vintage and Current Book Library - Index Fund Advisors, Inc. 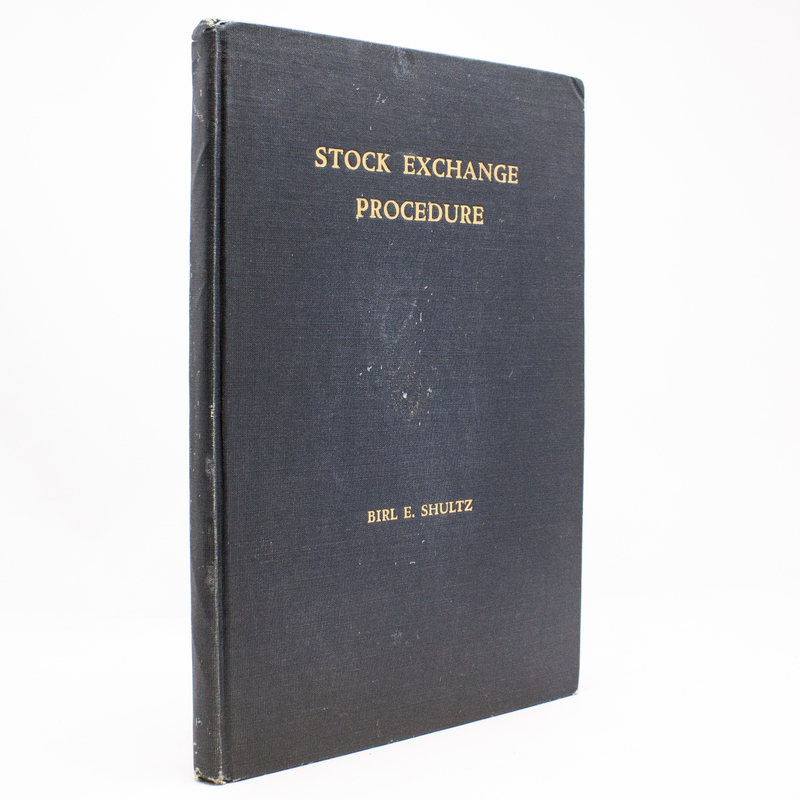 Author: Birl E. Shultz, Ph.D.
Notes: Stock Exchange Procedure by Birl E. Shultz, 1936, 1st edition. Bound in the original dark blue covers and stamped with gold gilt on the front cover. This book has seven large B & W vintage photos of the floor of the NYSE. I have attached many pictures of this book. It is really neat. As seen by the pictures, the condition of the book is very good with just a touch of wear to the covers & spine ends. Hard Cover.